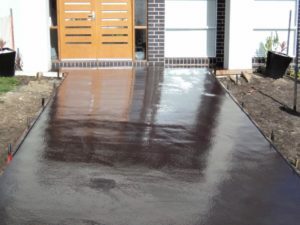 We concrete driveways all over Melbourne . Depending on our schedule will depend on how far we are we would service as in peak periods we dont work out in the outer suburbs. Including suburbs in Boorondara, Knox, Whitehorse, Yarra ranges and Manningham . We service all or the areas in Moreland, Mooney Valley, Hume, Darebin, Banyule, Whittlesea and Banyule. We service all of the Bayside and Casey and Frankston area, including Glen Eira & Monash. Such as Carlton , Docklands, Parkville, South Yarra, Albert Park, Elwood, St Kilda and South Melbourne areas.